Queens Day 2010 and we are celebrating it at the private residence of the Ambassador of the Netherlands in SA. 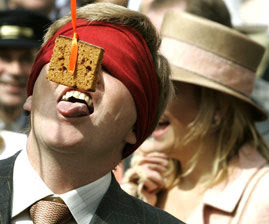 800 Dutch people accepted the invitation and were celebrating the Queens Birthday in the garden of Rob and Marion de Vos. All week it was cold and rainy, but yesterday we had a sunny day and there was lots of activities in Waterkloof~Pretoria where the house of the ambassador is located. 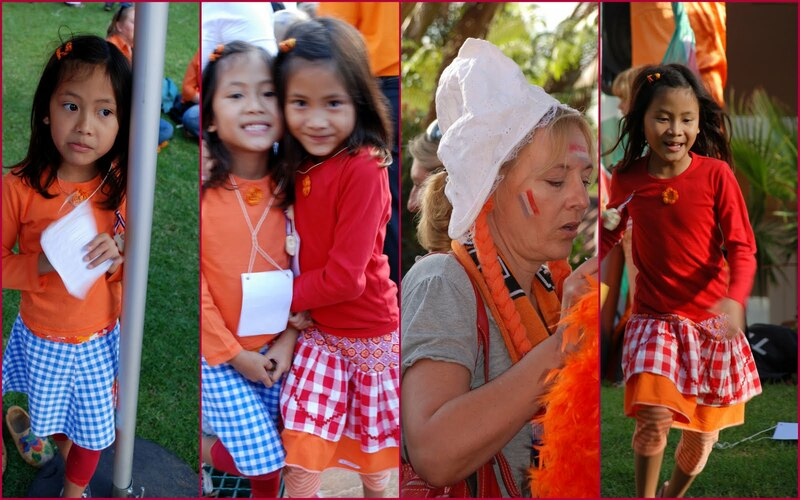 Everybody was wearing orange, or red-white-blue and I even saw some traditional 'cheese girl' outfits. The drinks and typical Dutch food were all free and they had plenty of it! We were treated with goodies that were flown over by KLM just for this occasion! We were welcomed with an oranjebitter, a typical Dutch drink and the food we had were: bitterballen, nasi ballen, sateetjes, kaasblokjes, and rauwe haring met uitjes and of course dropjes galore! So nothing to complain here, our cravings for Dutch food was over after this wonderful afternoon! Below some images to get an impression of the fun day! 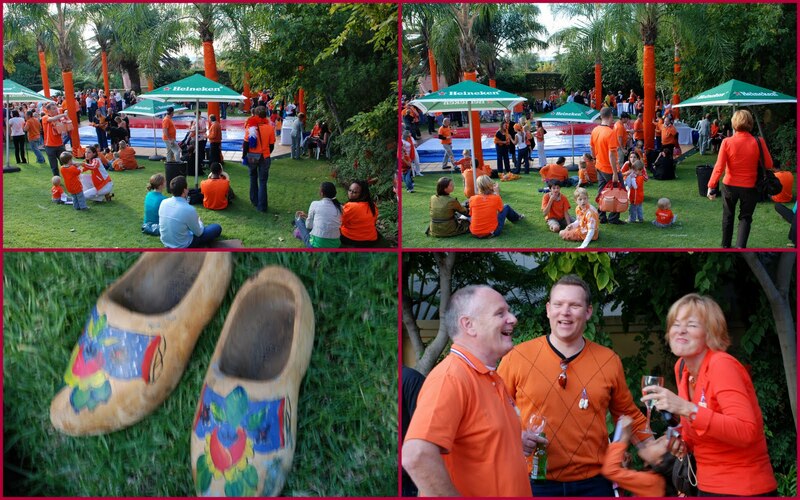 Everybody in orange, some Dutch wooden clogs and Dirk with our friends Gerard and Marion, laughing about some joke. Jasmine and Juliet in orange, red/white/blue having fun with some typical Dutch games... and a Dutch kaasmeisje/'cheese girl'. For the children they had organized some Dutch games like: koekhappen, sjoelen, sponsdragen, pin the soccer ball and zaklopen. All in all, we had a very fun day and met some of our Dutch friends and made some new ones. Soaking up some Dutch culture abroad is always good for the girls, so we keep the Dutch and Thai traditions high in our household. 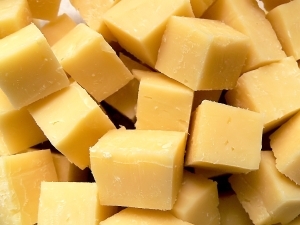 How do you keep up with the traditions in your family?? 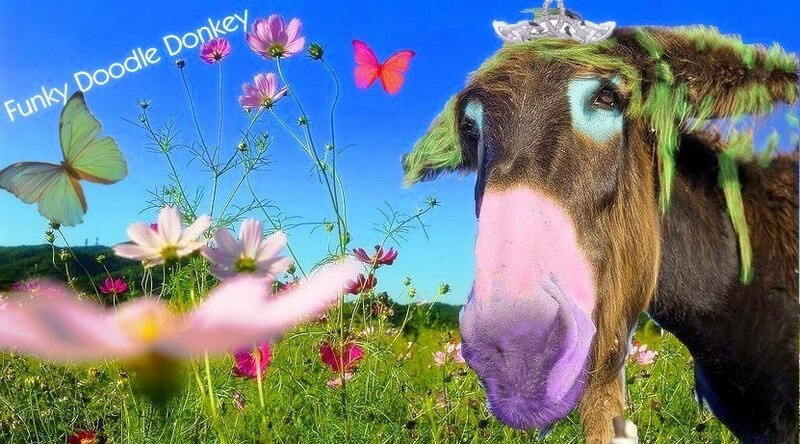 Hey, I'm so glad this morning I had time to catch up on your blog...I'm so behind, just so much going on right now. Your girls are gorgeous as always and have grown up so much. I feel terrible that I am just now thanking you for the Christmas card you sent...it was a sweet surprise. We had a traditional english breakfast this morning! Being a veggie I ate the 'shrooms, egg, tomatoes beans and toast and everyone else tucked into bacon and sausages as well. A little slice of England in the Netherlands, gezellig! levely pics of that party, everyone seemed to have a good time!!! The party looked so festive! What a fun celebration! What a wonderful event for you! Bet you miss having your traditions. Great for the girls too. 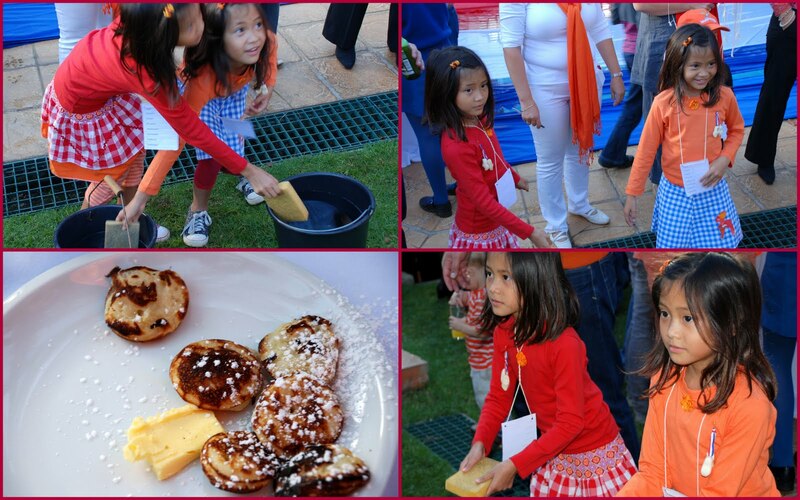 Looks like it was so fun and those pancake things look scrumptious! Wherever we are, we will keep up with the traditions! That is the fun part of living abroad, you can take a bit from your home country into the new country and you will see and find kindred spirits! The battle of the cakes... update!